Beautiful, delicate and feminine, timeless. Patterned Marvel dress will be useful in the wardrobe of every woman. Her cut and pattern are universal and can be adapted to many styles. 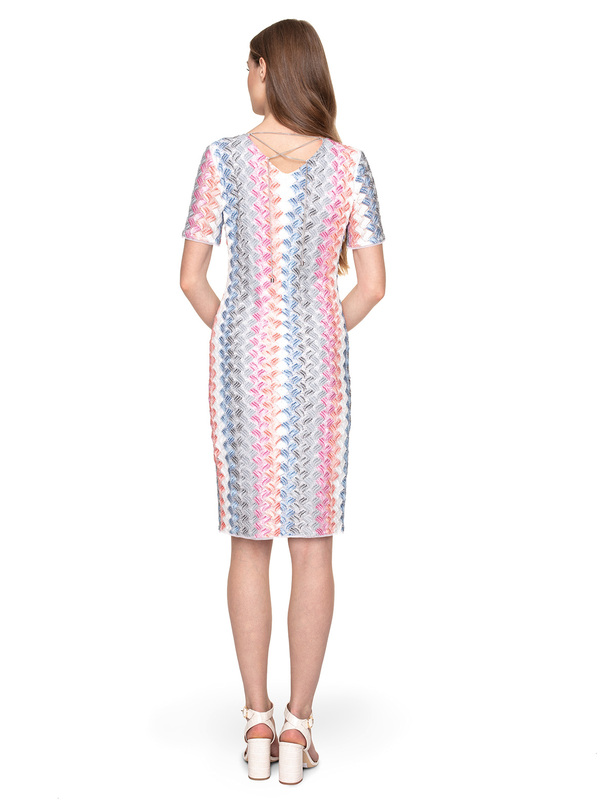 The dress is in white, pink, navy blue and black. It has a semicircular neckline, short sleeves and mini length. For elegant galas, meetings with friends or to work. If you want to add more chic, opt for an elegant jacket as well as shiny jewellery and accessories (e.g. a bag and shoes made of light, lacquered leather). For less obliging occasions, choose a denim jacket and coral ballerinas, sports sneakers or comfortable ivory-coloured sandals.